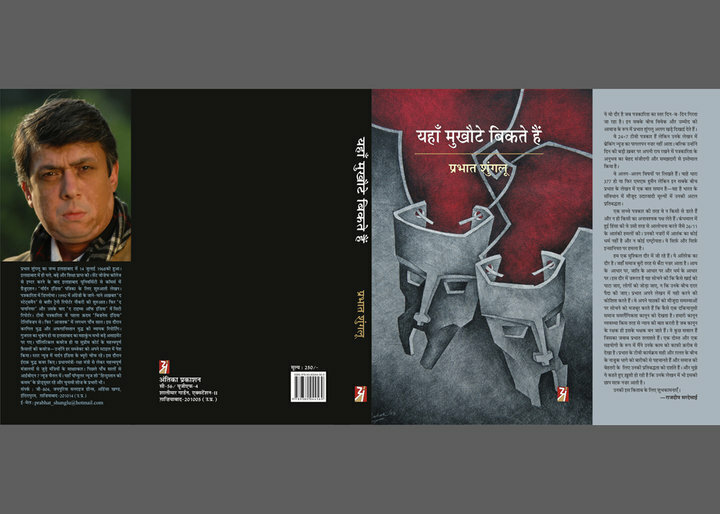 Senior journalist (with the Indian news channel, IBN7) and former colleague, Prabhat Shunglu’s book, “Yahan Mukhaute Bikte Hain” (literally meaning “Here Masks are on Sale”) is due to be released around mid-June, 2010. The book, a collection of articles in Hindi on politics, personalities and society, has been divided into three segments–सियासत (Politics), शख्सियत(Personalities), समाज(Society)। As the title suggests, the book, through its bouquet of articles, attempts to unmask the Indian political system and to expose the loopholes in the country’s governance. There are about 45 articles, covering subjects such as media and Kargil. Some of the essays are political satires. Antika Prakashan is bringing out the book. I look forward to reading this one. Sending best wishes to the author. Next ›Sea, Sardines, Steinbeck. And a Giveaway! Sury,Thanks for sharing and great to see this blog active again! Welcome back, Terry. Yes, this happened to be a good reason to get the blog back on its feet! Glad to be back, Nalin. Thanks for the wishes. I hope so too, Frank. And thank you! Hi, nice blog & good post. You have beautifully maintained it, you must try this website which really helps to increase your traffic. hope u have a wonderful day & awaiting for more new post. Keep Blogging!